FANNY CRADOCK: Back in fashion on BBC iPlayer. RESTAURANT chains on the UK High Street have recently been facing a combination of a squeeze on incomes, rising costs and falling demand. Prezzo, Byron and Jamie’s Italian have all shut restaurants. It’s just market correction. Anyone can see there’s massive oversupply, and most of those in trouble don’t offer a good product so aren’t sufficiently robust when the going gets tough. This means that the market works the way Adam Smith taught us. Those restaurants which can’t get bums on seats will fail, and their customers will move on to those of their competitors offering more appeal and better value. In a restaurant there are two words never to get excited about. First, its ‘Concept’ (explained by hipster waiters who breathlessly tell you the salad leaves were foraged from the central reservation of the M1, or the salmon hand-smoked in a skip under Brixton railway arches). Second, ‘taster menus’ (convenient and lucrative for the restaurant but only half the items of which many of us really like). Two words – like ‘amateur’ and ‘brain surgeon’. Or ‘Donald’ and ‘Trump’. All are terrible ideas. Basically, there are still too many celebrity chef TV programmes helping perpetuate the dream that fancy food is what we all crave. You know: Masterchef smears, sprays, foams, powders, splats, skid marks and blobs. Expensive ingredients, high wages, high overheads, fancy plates, fancy cutlery – equals low profit margins; equals bad business. What’s preferable is a good dinner without acres of starchy tablecloths or starched waiters. Meanwhile, the original celebrity TV chef is back. 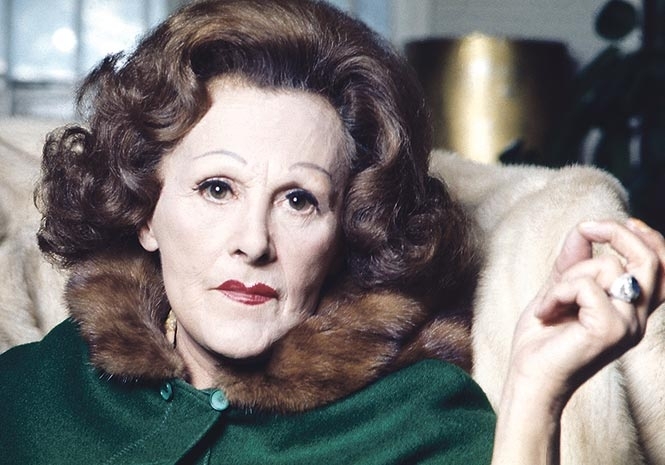 Fanny Cradock, the OTT matriarch who introduced post-war Britain to prawn cocktails and cheese soufflé, is back on BBC iPlayer.